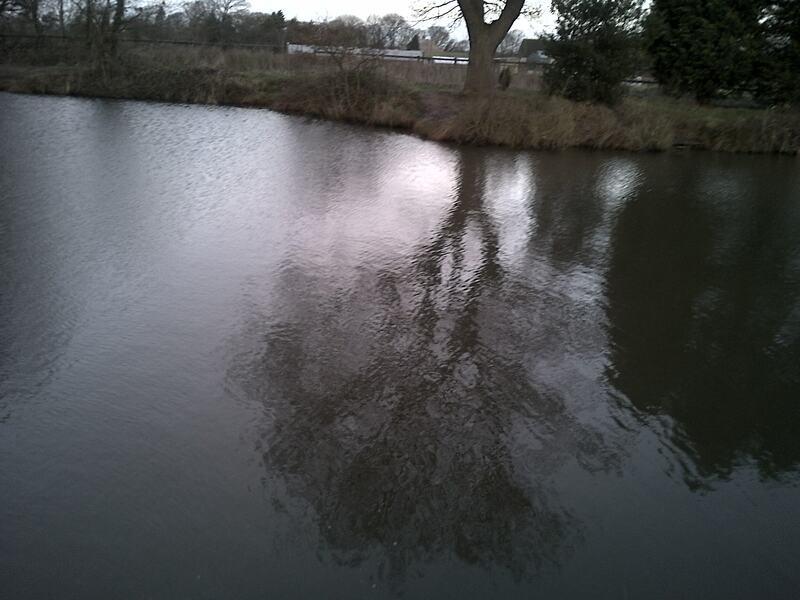 After a few text messages during the week to Gary about match fishing at weekend, we jointly decided to give matches a rest due to the weather and have a go at catching some silverfish from Heskin Old Hall Fishery. Armed with an ice breaker and with the temperate gauge showing -2 degrees, Gary picked me up at 8:30am and off we set to Heskin (via McDonalds, and a little detour). Arriving at the venue our first choice was to target the roach on pond 2. 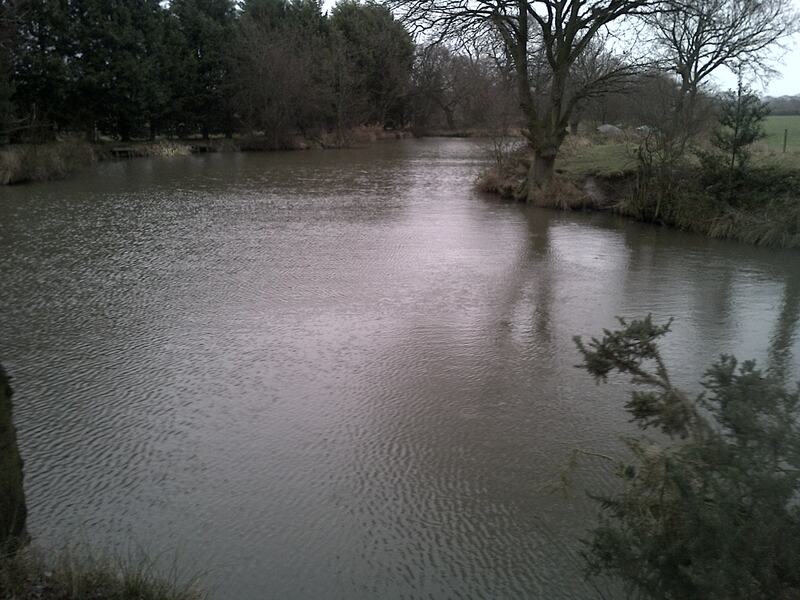 The water was completely ice-free but with 4 lads on opposite sides of the lake chucking method feeders and leads everywhere we decided to have a look at the conditions on pond 1. Having only fished this water once before a few years ago, I was surprised to see that it was still partly frozen with the majority of the lake covered in cat ice bar the near bank (the water has more trees surrounding it than pond 2). We decided to get down on the first 2 pegs through the gate with myself on peg 7 and Gary on my right. I was able to reach the edge of the cat ice with 5 sections of pole so this would be the distance I would be fishing for the day. 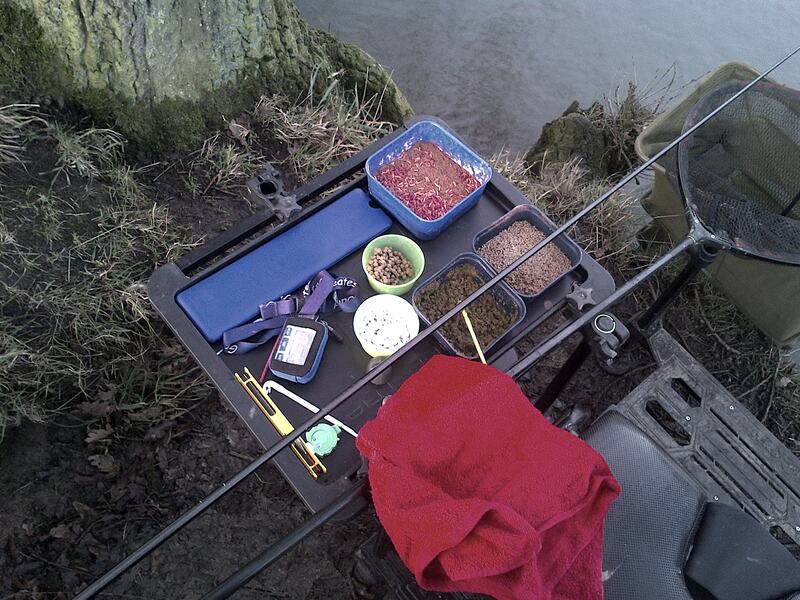 My plan was to fish maggot but I also had a tin of corn and ½ a pint of micro pellets as change baits. I decided to keep it simple and only set up 1 rig. A carbon stemmed 0.2g handmade chanti style float on 0.12 mainline to a 0.10 5-inch hooklength and size 18 B510 hook was the weapon of choice. This was shotted spread bulk style using no.10 starting just above the hook length. My elastic choice for silvers is solid 6 Preston slip. We was only fishing for 4-5 hours and time was passing quickly catching a dog roach almost every drop in, working the rig helping induce a few bites and laying it in by flicking it past the feed and letting it fall on a tight line worked well. 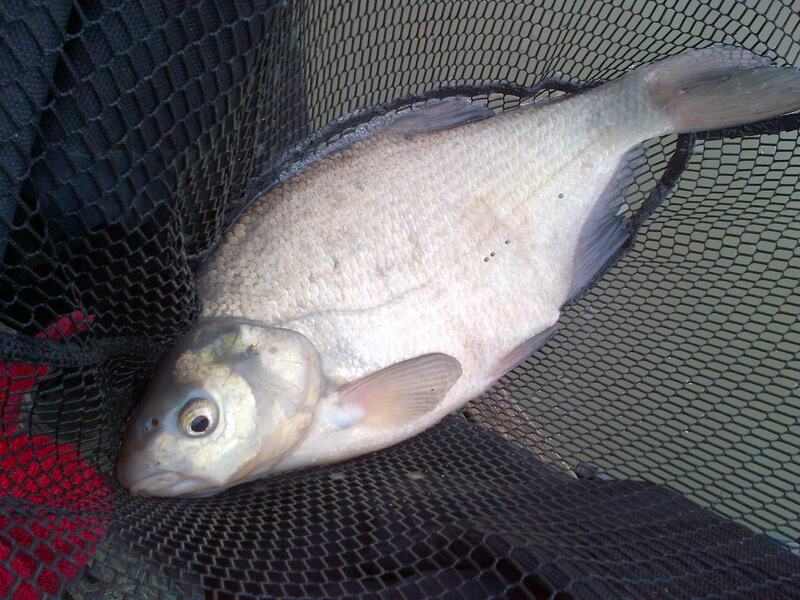 Interestingly the smaller stamp fish were caught on the drop. This seemed to only happen in quiet spells when not getting bites on the deck. After around an hour of fishing I plumbed another line to the left of the swim in the same depth of water and decided to try feeding corn sporadically and dropping over it to see if I could pick up a carp or decent bream but nothing really materialised from the swim and I shelved the idea after a few looks. I was catching regular now and the sight of silver swished in the clear water when a dog roach was hooked was mesmerizing. Gary and I were both catching well but the stamp of fish I was getting were much bigger than them that Gary was (My peg was a little further out into the water and I was feeding much heavier, I think these where the reasons). Later in the day (after a visit from my old man) my float dipped and I was into my first decent 1lb+ skimmer of the session. I decided to ring a few changes and swapped my shotting from a spread bulk to a bulk and 1 dropper. I also changed my feeding a little to increase the amount fed but less often. This seemed to work and I was into my best spell. 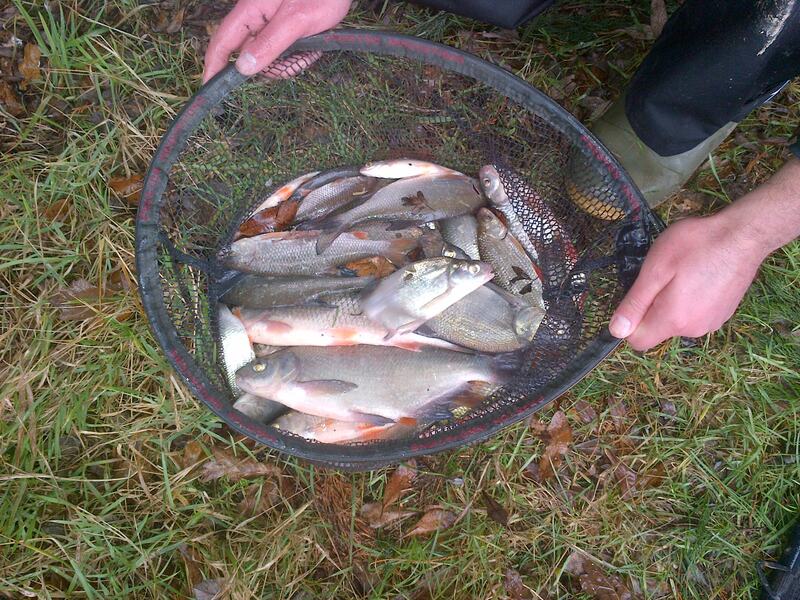 A dozen decent skimmers and some big hybrids plus a 1lb plus roach graced the net. 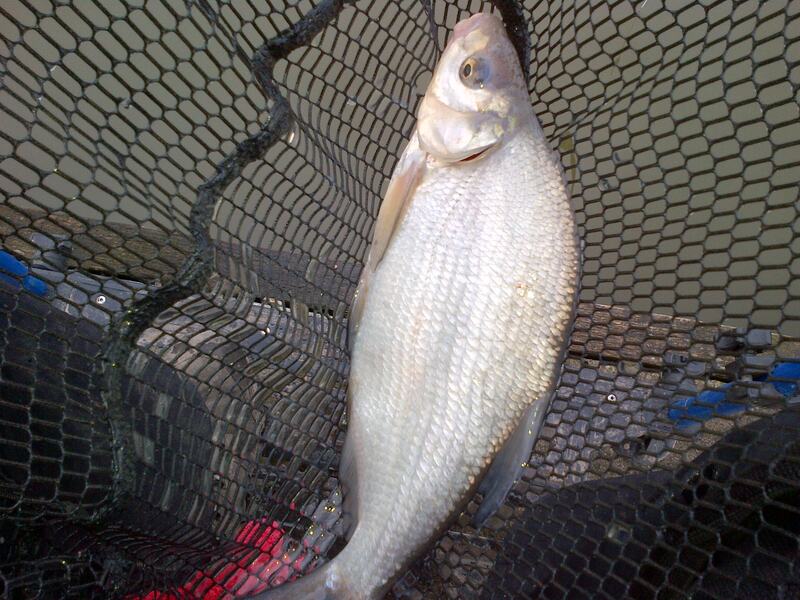 I also hooked a decent bream but unfortunately this slipped the hook. A few more fish followed and it was time to call it a day. Gary had used a keepnet and with the good carp and his silvers combined he had easy over 20lb of fish in the short time we fished. I decided to not use a keepnet but with the dozen skimmers and the stamp of my fish I would estimate I too had easily over 20lb of pristine silvers (probably more weight than Gary but I won’t upset him hahaha). 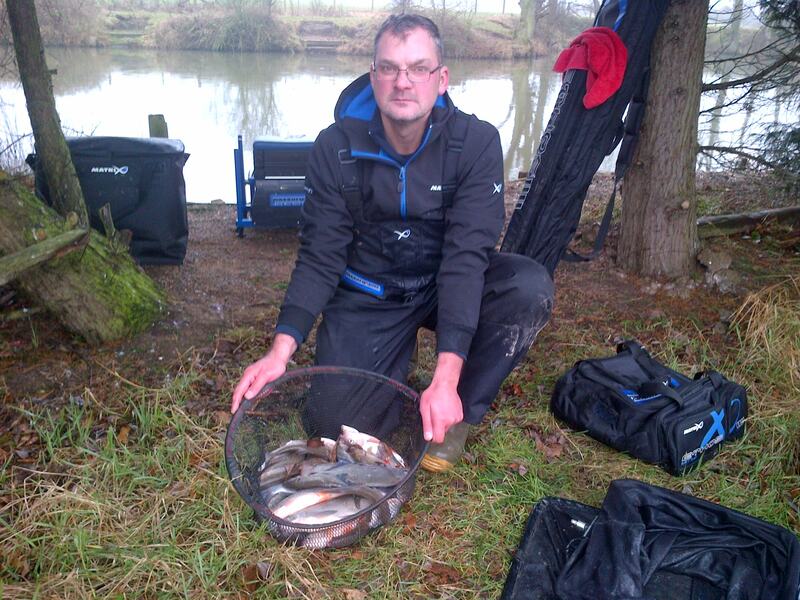 Heskin Old Hall is a cracking winter venue and the float kept going under all day with an excellent stamp of silverfish. I can see myself being a regular winter visitor in the future, silverfish will certainly play a big part in my future winter days out on the bank. 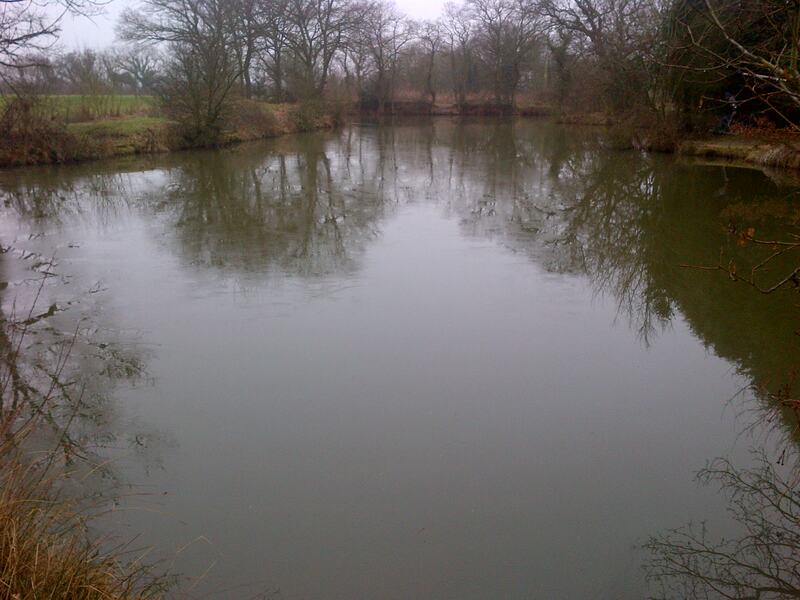 After yesterdays eventful match at the Cunneries targeting f1s i fancied a change of pace and decided to go silver fishing in the quiet surroundings of Heskin hall probably as far away from the hustle and bustle of the highly contested commercial matches as you can get . I woke on the Sunday to find a thick fog which did not shift all day but at least we didn’t have any frost and after getting all my layers on , packing the car including the ice breaker i headed off to pick my mate the big dipper up ( who has also done a blog on todays events ) we stopped off for a mcds breakfast on our way there . On arrival we had a quick look at pond two as it was the closest to the car-park and my mate had told me that their was a huge head of roach in it plus their was no point pushing our barrows over the muddy field to pond one if we could fish on their but a few anglers were fishing the method to the island and as we fancied some peace+quiet so decided on the long walk to pond one on the plus side pond two was relatively ice-free so fingers crossed so would the other one . After huffing and puffing our way to pond one we was relieved to find an ice-free patch up to about six meters on the pegs at the side of the trees so no ice breaking will be required today thank god , i gave my mate the better of the two pegs and settled on one nearby a peg which often produces a few of the bigger skimmers and the odd carp or two . I decided to start fishing at five meters were after plumbing up i found it to be five foot deep and because there was only a slight breeze i used a 4×12 malman roob float with an on the drop shotting pattern my line was 010 garbo which had a size twenty drennon silver fish-hook , i didn’t want to go to light because this pond although quite small has a healthy head of carp and big skimmers . At 10am we was ready to get started and i set my timer for four hours i tapped in a few pinkies and a couple of maggots then proceeded to work my rig while i waited for an indication it is always a bit nerve-wracking fishing a venue you hadn’t been for well over a year especially in these conditions but i didn’t have to wait long before my float dipped and i was briefly attached to a big foul hooked skimmer . At least there was still fish in the pond but you all know that losing a skimmer directly over your feed can have a disastrous effect on your peg especially in the cold clear conditions , so i was expecting a bit of a wait before my next bite but it didn’t take too long when a roach off about 4oz hitting the net a few more quickly followed but they wasn’t getting any bigger where as my mate on the next peg was catching a bigger stamp including some cracking roach over a pound i put this down to him being able to fish further out than i was . I was getting the odd smaller fish intercepting the maggot on the way down so i decided to change my shotting pattern for a bulk and dropper shotting pattern by doing this i felt it would give me a chance to get my bait quicker to the bottom and hopefully get me a better stamp of fish , i was a bit unsure at first if it would work because my swim just died on me but it wasn’t long before i found out why when my float slowly slid under and i was attached to a big lump of a carp which was certainly giving me the run around on my silver fish rig five minutes later a carp approaching 8lb graced my landing net a proper bonus fish but this killed my peg good and proper . With the ice melting a bit more i put another couple of sections on and plumbed up at the side of it , it was only a couple of inch deeper so at least i didn’t have to change my rig . 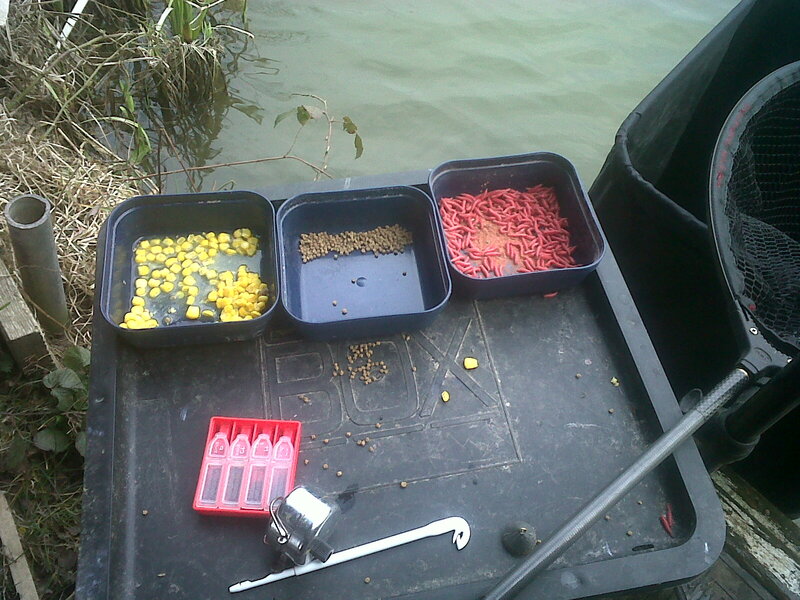 My mate was feeding a lot heavier than me putting in a good thirty maggots after every fish but i was still in f1 negative mode feeding just six offerings , i decided to increase the amount of maggots i was putting in and cut out the pinkies because you could see them slowly falling through the water which was bringing the fish up in the water as you could see the flash of the roach a few feet under the surface .The increase in bait going in worked a treat with a bigger stamp hitting the net i did have a few quiet spells but by changing between red and white maggots every few fish i managed to keep the coming , towards the end i had a run of pound plus skimmers which i think was because of the spread of bait i had put down . All in all i had an enjoyable few hours catching silvers and i will be going back in the near future it certainly made a change from the constant matches i have done and it brought me back to the reason i started fishing in the first place catching a few silvers in the quiet natural surroundings , i ended up with nearly twenty pound of silvers and that big carp of about 8lb not bad for a half-frozen lake it was minus two degrees on the way to the venue and it didn’t rise above 2 degrees all day. My mate the big dipper will be putting up his interpretation up of how the day went on a blog which i will be publishing in the next few days and it will no doubt be a great read , i will be heading back to the hustle and bustle of partridge lakes on Sunday to fish in the Leigh tackle and bait winter league taking my mates place on covey five i just hope i don’t start over feeding again . 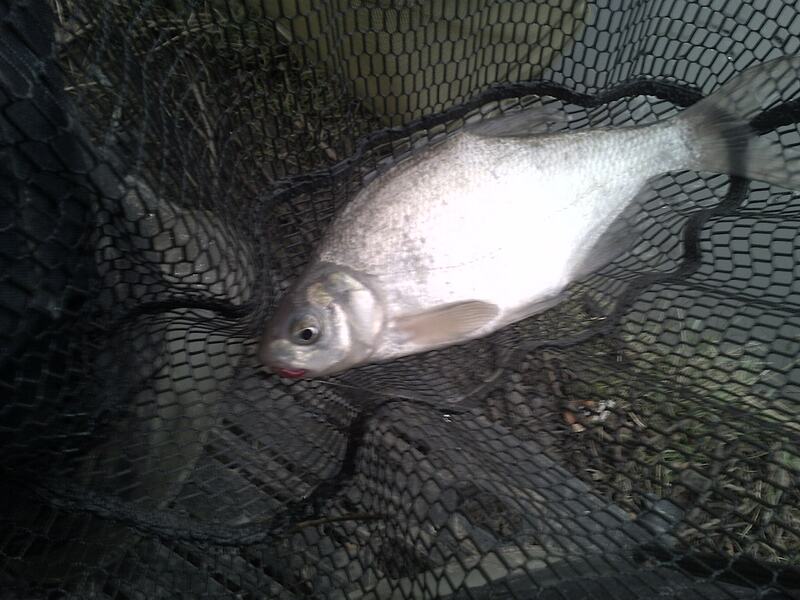 With the weather being forecast to be a bit dodgy after dinner time today , i didn’t really fancy sitting in the cold wind and rain for a match because i was just getting over the effects of a cold so i decided on a bit of silver fish action. I wasn’t sure on just where to go so i had a quick look through my past blogs and saw that Heskin hall pond one had fished ok this time last year so that’s where i decided to go . It is mainly a silver fish water with a big head of roach – skimmers and the odd carp which tend to stay in certain pegs so hopefully i wont be bothered by them too much today , there is about 15 pegs on the lake and is covered by conifers on three sides plus on the remaining side the pegs are cut into the banking so the wind usually blows over the top of you on that side . As i was only going to be fishing a short session because of the forecast heavy rain due to arrive at dinner time i wanted to make the most of it and set my alarm for 7 am , which of course meant it was still dark when i woke but when i would arrive at the venue the sun should just be rising . The trouble was i didn’t expect the car to be frozen over which would make the fishing harder than i planned early in the session , as i arrived at the venue i was obviously the first one there and made my way over the muddy field to the pond . The wind was blowing into the more favoured pegs and i didn’t fancy sitting in a head wind so i chose one on the opposite bank which was a bit more sheltered , i plumbed up to find 4 ft depth at 6 meter and i didn’t expect to fish much further out and would only need one rig today . 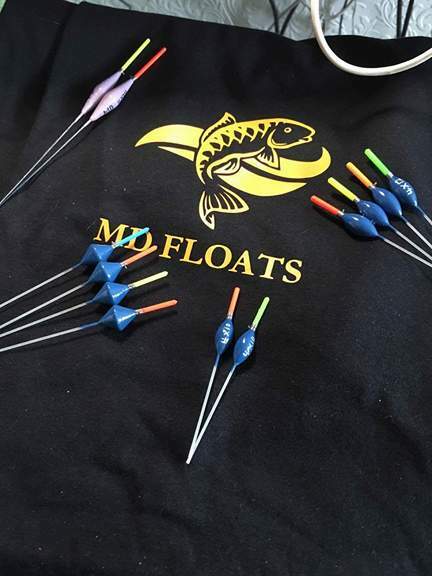 I used a 0.3 maver float which had a 1 mm nylon bristle which would show up any delicate bites , i had 0.10 garbo main line and a 0.07 garbo hook length attached to a size 20 gamma black hook , my shooting pattern was a bulk and two droppers . 1/2 pint red maggots with a few pinkies mixed in . 1/2 pint soaked micros with a touch of fish meal ground-bait . small tub 4 mm expanders normal and white . At 9 am i was ready to start fishing and shipped out with a maggot on the hook and half a medium kinder pot of micros squeezed in to a ball which got it straight to the bottom and six maggots . I dropped my hook bait down with the feed and began working my rig to try to entice a bite , after finally managing to sort the my shotting on my rig so that it just held up in the surface layer and i had first bite which was from a nice 10 oz skimmer . thirty minutes ensued before i had my next bite and i couldn’t work out why because there is a healthy head of small 2 oz skimmers in here which can be a pain in summer , i tried both sorts of pellets but couldn’t tempt a bite . My next run of bites coincided with two other anglers arriving so maybe the fish had been settled in a certain area of the pond and had now decided to move and found my feed . 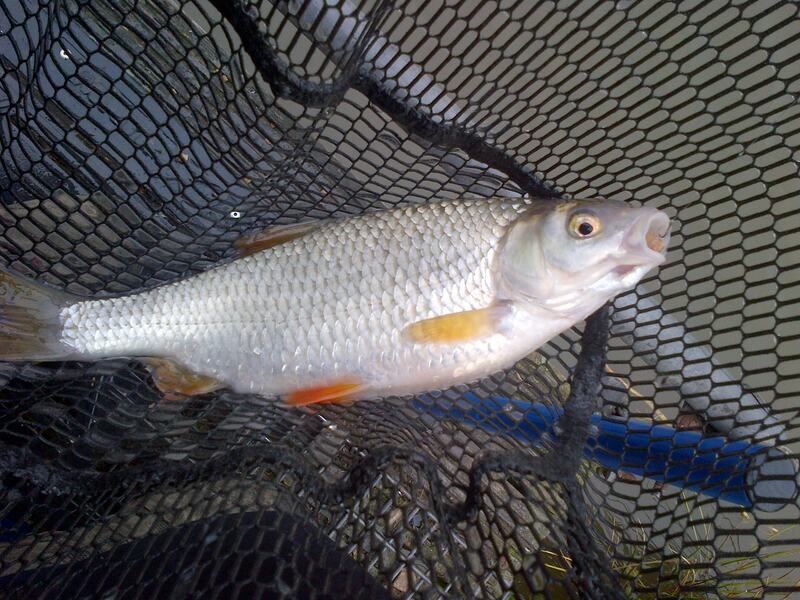 For the next two hours the fishing was relatively easy with skimmers – roach coming regularly to the net and i was feeding a small nugget of micro-fish meal and six maggots after every fish , i began catching the odd one on the drop so i moved my bulk higher up and spread my dropper shot which resulted in more nice roach and increased the stamp of skimmer when it reached the deck . I was enjoying my self catching the big silvers with the roach making a spirited fight on the light size six preston slip elastic and i also found that i got a quicker bite with a red maggot tipped with a pinkie , but all good things must come to an end with the fore-cast rain arriving at 12 and i did try fishing for another thirty minutes in the rain but didn’t have a single indications which i put down to the colder water un-settling the fish in this shallow water . I ended up with forty roach-skimmers and most were caught in a two-hour spell when i was catching one a chuck , i learned a few things today and will be giving it another try in the next few weeks when hope fully the weather should be a bit better for fishing because today when i set off this morning was minus one degrees and on the way home it only rose to a high of two degrees and a sure sign of things to come i am afraid so role on spring . Was looking forward to this match after Fridays practice and hopped that i had sorted a few things out to gain an advantage , but the weather as per usual put a dampener on my mood in more ways than one and with strong winds and rain forecast but it didn’t look that bad when i was packing the car for my short 30 minute trip to the fishery and i just wished it would hold off till after the match . Decided on a late draw for a change and to some extent it worked because the last 3 pegs in the bag were the flyer peg 4 , corner peg 1 and one away from last weeks peg were i managed third with 19lb and obviously i would be happy with any of them . My home for the day turned out to be the latter which was peg 7 not in the best area for carp but im sure last weeks tactics would still work and was looking forward to a good day catching big skimmers but as you will find out later it didn’t quite work out that way . As the all in sounded at ten the wind decided to get up and was blowing directly in my face but at least it wasn’t as strong as last week and the rain had held off so far . 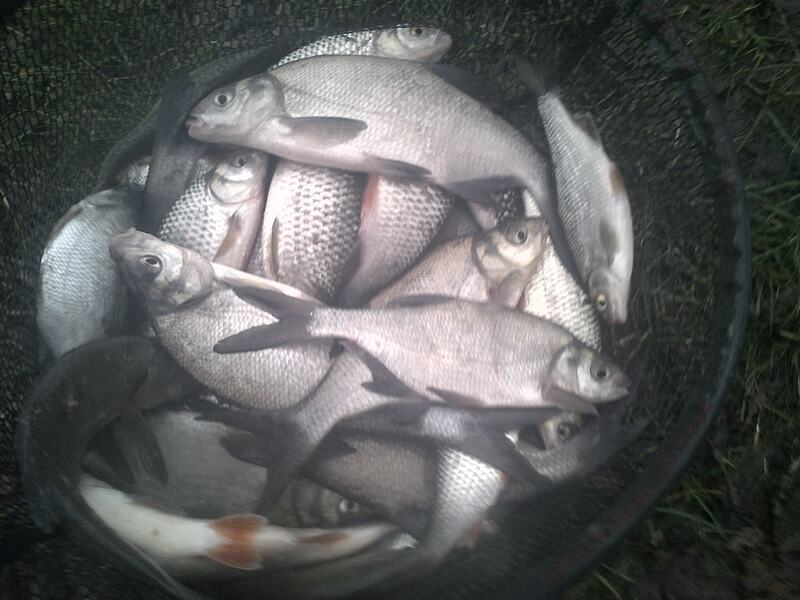 I started with a medium pot of micros and casters on my 11m swim because what i learned last week was you needed to feed off the small skimmers and bring in the bigger ones which were required to compete against the carp pegs . Things didn’t go to plan and 20 minutes in i was still fish less i had a couple of little indications which i put down to small skimmers not being able to grab the double caster hook bait , but i then deep hooked a nice roach so i took a few inch from off my rig and my next fish was the same deep hooked so i decided to re plumb and went dead depth and after the disruption i re feed with the same amount as at the start and went to try my 4m swim were i had been flicking a few hard 6mm pellets . I did manage a couple of bigger skimmers from this line but nothing like Fridays session but i hopped this would improve as the day progressed ,Went back out on my far line but the bites were very iffy and was only dimpling the float tip not like usual when they buried the float ,so i added a shot so it settled lower in the water and changed hook bait to single maggot to try and find out if it was the small skimmers causing these indications . 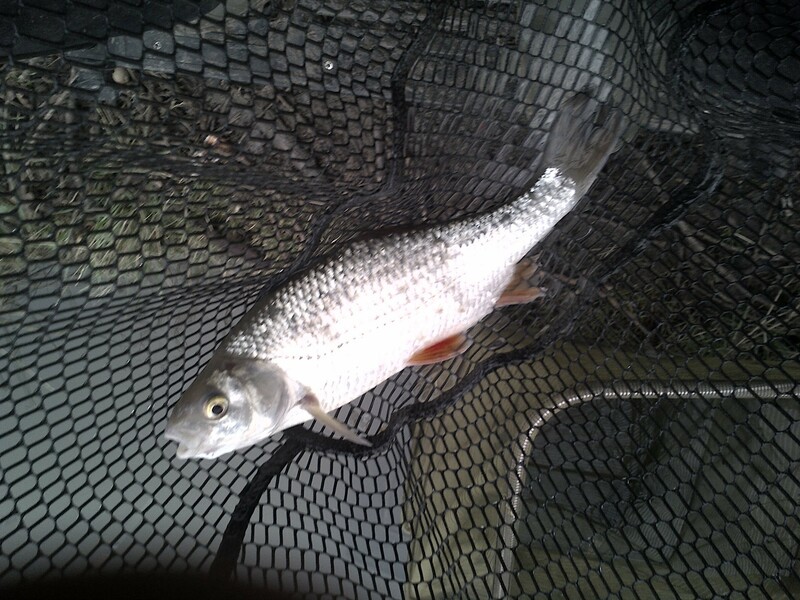 But my next few fish were nice roach and rudd this was very strange because so far no skimmers had come my way yet and just hopped they hadn’t started spawning just yet as last week they were covered in white spots . After 2 hours of catching the odd fish on caster or maggot i was going know were fast but peg 9 was catching small carp constantly and tony on peg 11 was into the silvers with a bonus 5lb carp too . Went back on to my 4m hard pellet line and finally put a run of decent skimmers together but when i lost a flying 2lb skimmer which took me by surprise ( why do they do that ) my swim died and so back to square one so after a bit of a head scratch i went back to my 11m line yet again but with an altered shotting pattern to allow for a slower drop and to my surprise this worked a treat but not sure why ? Finally found the big skimmers and i began putting a run of fish together but to little to late for any chance in the match today and just to make matters worse when the all out sounded the heavens opened GREAT !!!!! I ended up with 25 fish over 4oz for just over 9lb so a bit of a disappointment today but still got 2nd in my 8 peg section . 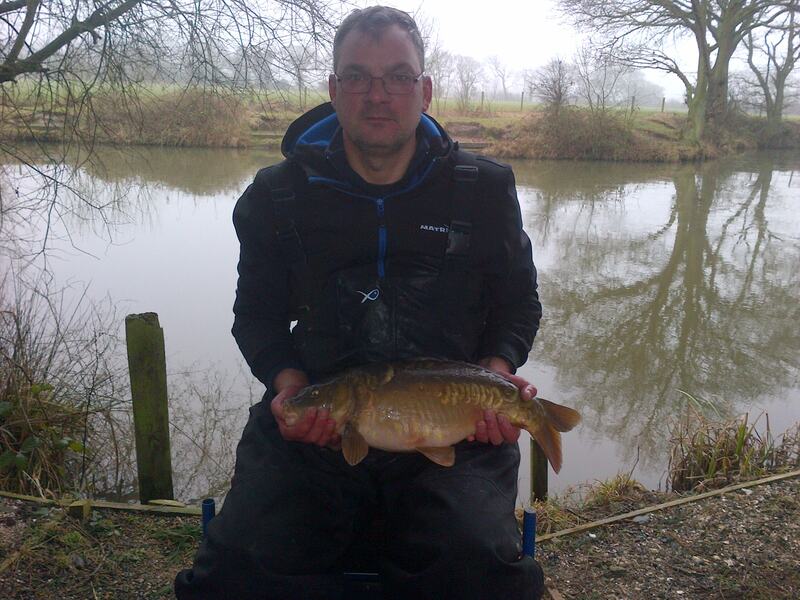 corner peg 1 got 3rd with 13lb of carp . So a lot of low weights today probably due to the over night drop in temperature and change of wind direction , like i said earlier i don’t know what match if any i will be doing next Sunday but i do know i will be fishing somewhere . Well after a delayed start to my fishing due to the awful winds on Thursday , i awoke on Friday to find blue sky’s and a gentle breeze , and that’s the way it stayed until i finished work at dinner time , i hurriedly packed the car hopping to make the most of the good weather because as you know it probably wont last long . Decided on an all pellet attack today just to see how i get on because i know natural baits work well on here , but Tony won the last match on here with pellets catching 120 skimmers in the process although they weren’t big they was plentiful.W hen i arrived their was two other people fishing one either side of the lake which suited me fine as i wanted to fish the same peg Tony won from because i hadn’t fished on the field side before and wanted to see if i could catch just as fast as Tony did . 9m line , 9 hollo elastic , 0.3 maver fine tip float with bulk and 2 droppers shotting pattern , 0.10 line to a size 20 f1 hook , 5ft deep. 4m line , 9 hollo elastic , 0.3 scone float with bulk and droppers shotting pattern , 0.10 line to a size 18 hook with micro bait band . Decided to fish a couple of lines and feed them both differently to see which was best , the right hand 2 o’clock line was feed with a medium cup of ground bait and the left hand 10 o’clock line was feed with a medium cup of soaked micros ,because i was targeting the lakes plentiful head of skimmers i didn’t expect to catch the bigger fish straight away but hopped they would settle over it eventually . Started on my ground bait line because it was fizzing like mad but couldn’t get a bite for love nor money , so after 20 mins of struggling to get a proper bite i did get a few liners and indications but nothing i could connect with , i changed to my micro swim were the odd bubble could be seen and i couldn’t believe the difference getting positive indications from the off and skimmer after skimmer came to the net .Kept trying my ground bait swim but even when the fizzing had subsided i still couldn’t get any positive indications so that’s i definite no no for the match . Although they wasn’t big averaging 4oz a piece they were there in numbers , after a while the small blades got in on the act so i re feed with a medium pot of micros and this got the bigger skimmers feeding again but not the 1lb plus ones i usually catch on maggot !!! The small blades soon came back and was taking every bait i put in before my float could even settle they was off with it ,I tried changing the feeding amount for a bigger pot , changed shotting pattern for both on the drop and bulk and droppers and i finally settled on a bulk 6 inch from the hook to try and stop the small blades intercepting the pellet on the way down , so after catching 43 fish in two hours i was probably in line for what tony caught in the last match but i wanted to find the bigger skimmers which i think are needed to win the match . So proceeded to set up a new swim at 4m to my right were i plumbed up to find the bottom of the slope , i decided to feed hard pellets in case the micros and ground bait i was using had brought in the smaller skimmers , i started on a big 6mm expander on the hook and began flicking in 6 hard pellets every 5 minutes . Started catching almost instantly but they were still the same 4oz skimmers although i was catching them a lot quicker because i was fishing a lot closer in , but decided to try try a banded pellet just to see what response i got as that’s what i was feeding . The difference was unbelievable and i began catching fish that i didn’t even know were present in the swim and my average size went up to over 1lb and i couldn’t get in quick enough but i knew it wouldnt last long it never does . A change of shotting pattern to on the drop rig produced a few bonus roach and altering my feeding pattern elongated the purple patch for a good 90 minutes of fish catching action , it was coming up to my last thirty minutes so i decided to do something a bit different because it was a practice session after all and that was to try something i had often read about but never actually tried by dumping your remaining bait in as if you were going hope and then fish over the top and this worked to some extent and i managed a few carp and a big skimmer. 3m line for last 30 minutes or later , only use if short line starts dying on me .